The new Pixelpipe Send and Share has the features to let you upload photos and videos directly from your gallery and files to your different preferred Social Networks (Facebook, Twitter, MySpace etc), web services (Picasa, Flickr, Ovi Share etc) or even directly to contact’s emails. The new version of app gives a new ‘Send’ options for pixelpipe which you’ll see below on the guide. To start with, download and install the Pixelpipe Send and Share from Ovi Store. It supports wide range of Nokia devices from Symbian S60 3rd edition to S60 5th edition. Download it here. 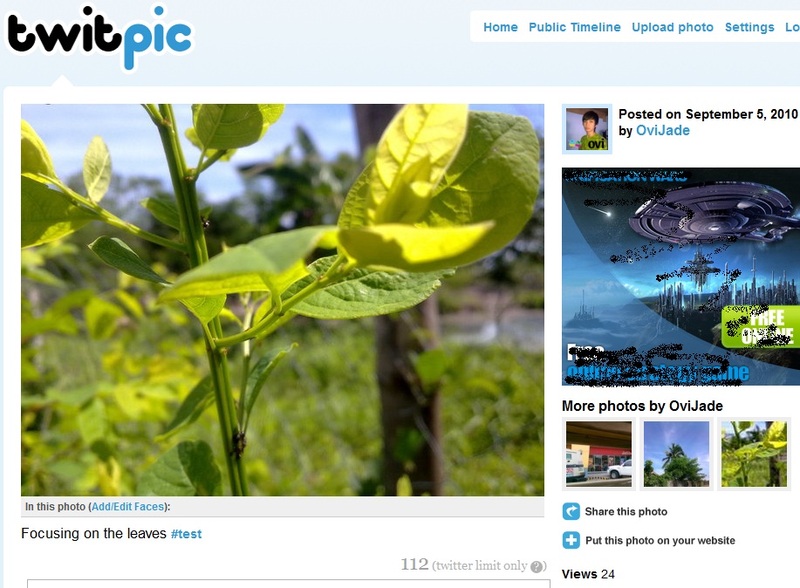 Note: The bottom is the default service which is TwitPic and my uploaded photos will go directly to my TwitPic account without putting routing tag @twitpic. Don’t forget that you can also send the photos not only to TwitPic but of course to your other services like Picasa or Flickr by using routing tags (see below). You can also edit the routing tag of each pipe for easier way and less typing. For example I will edit the routing tags of my photo services, let say my twitpic, flickr, picasa, to @pictures so that it will upload my photos to these 3 services without typing each routing tag. Once you’ve added and authenticated the services you’ve chosen you can now go to gallery to pick and queue the photos/videos to be uploaded or directly after capturing the images/videos. By putting the routing tags @picasa @flickr, this will make my uploaded photos to be send not only in twitpic but also in Picasa and Flckr. Now go to PixelPipe application in your to check if the app setup is uploading or not (default settings are automatically uploading and run on start-up). You can also setup the options you like. 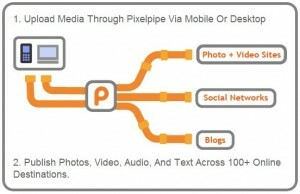 Pixelpipe Send & Share 1.0 HD from Pixelpipe Developer on Vimeo. So far, the only cons that I would consider in using Pixelpipe is the issue on PC vs mobile account setup and the continuous running in background of Pixelpipe when not in used, but of course you could close it manually. I suggest you do the registration of your account in Pixelpipe site using your PC while manage all your pipes in your phone. Don’t forget you can create your own routing tags too; I use @all and @video for uploading to all my pipes in one and to just my video sites accordingly.